Analog modems are going as fast as they can go. Experts say technical limitations make it difficult to squeeze much more speed from the little beeping, buzzing boxes. The technology's current state-of-the-art speed'56 Kbps'appears to be its high-water mark. But progress in remote access is not standing still. Not just one but two technologies are ready to grab the baton in the race for faster connection speeds for remote workers and telecommuters: digital subscriber line and cable modem services. Granted, only a fraction of all businesses and homes have access to these technologies, and the rate of deployment is much slower than supporters' press releases claim. Nevertheless, high-speed, affordable remote access via DSL and cable is becoming a reality. At peak performance, DSL and cable modem services can deliver data faster than T1 lines, the most common connection for businesses, which transmits data at about 1.5 Mbps. On a good day, a cable modem, for example, can download a 30-second film clip in 16 seconds. The same clip would take about 33 minutes with a 28.8-Kbps modem and 7 minutes with an Integrated Digital Services Network line. And DSL and cable services both typically provide always-on access. Users don't have to go through the wait of dialing into an Internet service provider. You're connected whenever the computer is on. But speed isn't the only feature of the new connection services. DSL and cable modems both offer significant cost advantages over traditional access routes, including T1 and ISDN. Phone lines and, for the most part, cable connections pervade every populated area. T1 lines, however, must often be special-ordered. As a result, the cost of these services differs markedly. DSL and cable modem access each run between $50 and $100 a month'just a fraction of the cost of leasing a T1 line'with some additional cost for setup, although that can vary with package deals. Most high-speed service providers include modems for free or at a discount as part of a subscription package. The companies also will perform all installation for customers, sometimes for free, but often for a fee of $100 or more. users and multiuser remote offices. Government groups, however, can perform their own installations if they have the right technical staff. Managers interested in carrying out their own installation should consult with their service providers. Standards for cable and DSL modems are still in flux, and not all modems work for all services. Government managers need to make sure they install modems that will work with their service. New high-speed services are also proving more viable in cost and performance than ISDN service, one of the only remote high-speed services available in much of the country. ISDN typically runs at 128 Kbps, roughly twice the speed of 56-Kbps modems, and pricing is all over the place. Phone companies often charge by the minute, in addition to fixed monthly charges and pricey installation fees. Users report paying $100 to $300 a month for moderate Internet browsing with ISDN. 'I couldn't possibly pay any more for Internet access than what I paid for ISDN,' said Ken Knisely, an Arlington, Va., television producer who was paying more than $100 a month for 60 hours of Internet use. Meanwhile, the competition between cable and DSL is heating up, with phone service companies and cable companies taking shots at each other's technology. Jim Wahl, an analyst with Yankee Group, an information technology research firm in Boston, said customers shouldn't worry about whether they should get cable modem or DSL access. Considering current availability limits, customers would be lucky to have such a decision to make. But in any event, don't wait for one or the other, Wahl said: Grab whatever one you can. Both will work fine and deliver remote-access speeds that are considerably faster than any analog dial-in modem can offer. Security comparisons also appear to break even. Chris Mines, an analyst with Forrester Research, an independent research group in Cambridge, Mass., said concerns about security and performance risks from cable's shared infrastructure are overplayed. Both technologies are as secure and dependable as the Internet itself, which means they aren't perfect but are certainly effective. For telecommuters and small home offices. 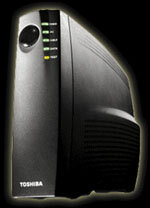 Certainly, most users lucky enough to get DSL or cable modem service have been delighted. Andrew Abbate, a network consultant in San Jose, Calif., has for nine months used basic asynchronous digital subscriber line'ADSL is the most common form of DSL'service from Pacific Bell Telephone of San Francisco. He has nothing but good things to say about the technology. The ADSL link provides data at 384 Kbps to his computer and sends information out at 128 Kbps. It costs about $50 a month, he said. Often, Abbate gets speeds as high as 1.5 Mbps, though such a speed isn't guaranteed. Abbate, who works most of the time at home, said the ADSL Internet link has improved his productivity by 50 percent because he can navigate through the Internet so much faster, and he has also gained speed in remotely accessing other computers. Abbate said he was amazed by the quality of the customer service he received from Pacific Bell. The ADSL line has only been down twice since he signed on, and installation was painless, he said. Few people knock the performance or price of the new high-speed access services. The trick is to get a connection. Cable modem service availability depends on whether your local cable operator has upgraded its equipment to carry digital data signals back and forth on its coaxial infrastructure, which was originally designed just for delivering TV signals, Wahl said. But any area that has cable TV service can also get cable modem access. Also, @Home Network of Redwood City, Calif., the largest cable modem service provider, is focusing on serving businesses with cable modem connections via its @Work subsidiary. Phone companies, like cable operators, must also retrofit their networks to offer DSL service, a lengthy and expensive process, Wahl said. DSL technology provides a way phone companies can send high-speed data signals over the copper twisted-pair phone lines connected to homes and businesses. Copper, unfortunately, is not the most efficient medium for carrying digital signals. Phone companies have had their hands full figuring out techniques to compensate for copper wire's poor bandwidth performance. The process for making these changes to the cable and telephone infrastructures has been slow. According to a recent report by Yankee Group, only 14 percent of U.S. homes and businesses in November were able to receive high-speed cable modem service. Only 1 percent of all U.S. homes and businesses could receive high-speed access via DSL service from a phone company. By the end of this year, Yankee Group expects cable modem availability to be at 25 percent of all U.S. homes and businesses, with DSL reaching 10 percent of all potential users. The research firm expects the numbers to grow to 54 percent and 50 percent, respectively, by 2002, accounting for roughly 7 million customers. Thanks to the patchwork nature of phone and cable company service areas, high-speed access will pop up in small clusters'often the size of neighborhoods'making it difficult for consumers to know when they will be getting high-speed service. Industry executives describe the distribution map of high-speed access as looking like a measles outbreak on the face of the country. The good news is that both cable operators and phone companies are actively working out the kinks in these new technologies and are, for the most part, hustling to extend their services as quickly as possible. transmissions of up to 8 Mbps. The leading providers of DSL services include Bell Atlantic Corp., GTE Corp., SBC Communications Inc. of Houston and U.S. West Inc. of Englewood, Colo. 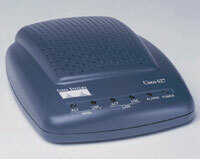 Leading cable modem service providers include @Home'a consortium of some of the nation's largest cable TV companies, including Cablevision Systems Corp. of Bethpage, N.Y., Comcast Corp. of Philadelphia, Cox Communications Inc. of Atlanta and Tele-Communications Inc.'and Road Runner, which is jointly owned by Advance/Newhouse, Compaq Computer Corp., MediaOne Group Inc. of Englewood, Microsoft Corp. and Time Warner Inc.
DSL and cable modem services are heavily targeting consumers with their products, but they are also demonstrating an interest in institutional users. Phone companies, for example, usually offer several levels of DSL services, varying in speed and the number of computers that can use the connection. The higher-end services'which naturally cost more'can handle a cluster of PCs accessing the Internet while delivering speeds of 2 Mbps or more. Whether a certain area of the country gets high-speed access sooner rather than later depends on the demographics of the location and the local service provider. Most high-speed data access will happen in the largest urban areas of the country, generally focusing on the top 25 markets and trickling down to midsize markets, Forrester Research's Mines said. Midsize markets with Internet-savvy populations, such as university towns or high-tech centers, will likely get service before, say, a farming town. Businesses or any large institutions, including universities and government agencies, are likely to gain access to DSL services ahead of consumers. A group of competitive local exchange carriers, known as Data CLECs, are specifically targeting businesses and are rolling out their services much faster on average than are incumbent Bell companies. The companies include Covad Communications of Santa Clara, Calif., Northpoint Communications of San Francisco, and Rhythms Net Connections Inc. of Englewood. That's great news for government agencies looking for cheaper alternatives for remote access to their LANs. With DSL or cable modem access, organizations can zoom past old, dial-in analog options.
' Investigate on the Web. Information services managers can turn to a host of Web sites to find technology news such as when high-speed access is coming to their areas. Helpful sites include: www. 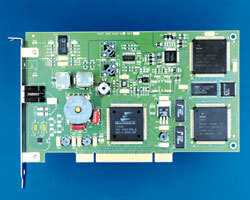 @home.com; www.roadrunner.com; www.telecoexchange.com; www.highspeedaccess.com; www.cablelabs.com; www.cabledatanews.com and www.adsl.com.
' Be proactive. Chris Mines of Forrester Research in Cambridge, Mass., recommends that interested government users call or place a request for high-speed service with both the local cable and phone companies. This will put you first on the list to get service once it's rolled out in your area. Also, such requests influence where companies offer the service. ''It can't hurt to put your hand up,'' Mines said.
' Check with your Internet service providers, one of the primary outlets for high-speed access services, especially DSL. Service providers are reselling access services from Baby Bells as well as from competitive local exchange carriers. Often, your local provider will have the latest information about DSL availability.
' Don't discount cable for business. Cable operators have never focused on the business community, but they do now with cable modems. And cable operators are ahead of phone companies in rolling out their high-speed services. It would pay to give them a call.
' Don't create a bottleneck at the PC. If you want high-speed access, make sure it will connect to a fast, powerful PC, especially one that can handle graphics. Most old computers cannot process information faster than high-speed services can deliver it. Without a souped-up machine, money spent on high-speed services would go to waste. Charles Waltner writes about communications and information technology from Seattle.